The oceans take up most of the area in our planet. 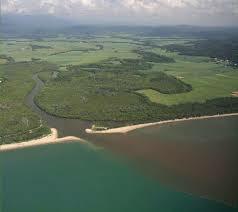 But, even this huge mass is affected by human activities and is polluted in a huge way. And when the ocean is affected, the water living creatures also lose their natural habitat and some of the creatures also become extinct. This will directly affect the eco-system. Ocean Pollution is the spreading of alien substances into the water, such as oil, agricultural waste, plastic, industrial waste and so on. The ocean is the home for wide varieties of creature and so it is the responsibility of every person to make sure that they don’t pollute the ocean and allow the water creature to long for long periods. Mining of gold and copper are the main cause of ocean contamination. Let’s see some of the causes of ocean pollution. Pollution can be in many ways, but the prominent way is through sewage. Pollutants and other harmful substances move along with the sewage, river and drainage directly into the ocean. This is how the chemicals and other substances find their way into the ocean and make life difficult for the marine creatures. This leads to a reduction in oxygen levels, quality of sea water reduces and decay of plant life also takes place. Agricultural and Industrial waste are the waste that is thrown or directed into the ocean. This toxic substance can prove to be hazardous to the marine life and they also increase the temperature of the ocean. Creatures that cannot survive high temperature become a prey to our activities. Land Run-off is another means of polluting the ocean. This takes place when the water infiltrates the land to its maximum content and the excess water that comes from flood, rain and other means flows into the ocean. Most of the time the water takes back many toxic and unwanted substances which includes plastics, fertilizers, petroleum, soil contaminants, dead animals and pesticides back into the ocean. This can become a worry for the ocean’s purity and quality of life. Shipping is the one of the prominent reasons for ocean pollution and one of the most dangerous effects is an oil spill. 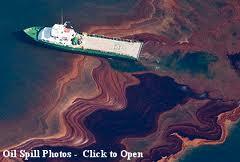 Crude oil has a long span and is also toxic for the marine animals, suffocating them and claiming their lives. They are also very difficult to clean because they split up very fast and so they stay there claiming the lives of the marine creatures. This does not end here; many ships lose their crates because of storms, accidents and other emergencies. This will also cause noise pollution and thermal pollution and a change in the eco-system can take place. 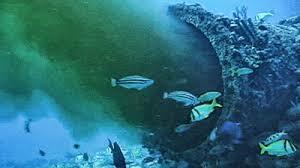 Ocean mining is another means of ocean pollution. 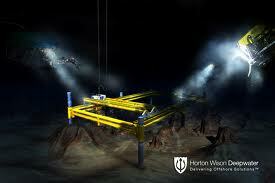 Drilling the ocean floor for gold, silver, cobalt, copper and zinc can create sulphide deposit deep in the ocean. But, it is not certain about the amount of impact that is being created by ocean mining, but, we certainly know that it lets out toxic substances in that region. This is a permanent damage and later this also can be one of the reasons for change in the eco – system. We have seen some of the causes of Ocean Pollution; let’s now see some of the effects of Ocean Pollution. 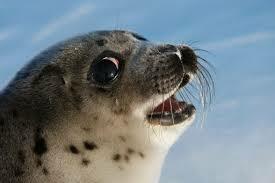 The toxic substance that gets along with the ocean is a harmful hazard to all that marine creatures. The oil spilled in the ocean will get into the gills and their skin and make life difficult for them. Some of the most devastating impacts are cancer, reproductive system failure, changes in the behaviour and finally death. The oil spills and debris can cause algae to form more rapidly, which will prevent the sunlight from reaching marine plants and affects the photosynthesis process. 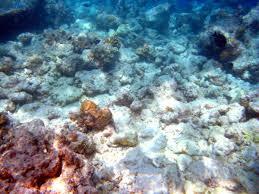 Coral reefs are losing its beauties because of ocean pollution and so its value will also come down. Most of the substance that gets into the water takes a lot of time to decompose and so remain in the water for years. The degradation process takes oxygen and as a result the oxygen levels go down in that region. When the oxygen levels go down some ocean creatures like turtles, whales, dolphins and sharks will have a reduction in their life. The wastes from the Industries and agriculture have a lot of poisonous substance which is very dangerous for the marine living creatures. These substances can cause some effect on the animals. The most prominent one is the failure of the reproductive system. The chemicals get into the tissues of the animals and lead to reproductive system failure or even claim their lives. Land run-off and chemicals from the industries and agriculture claim a lot of lives in the ocean. This will indirectly kill other animals which were dependent on those animals. Small animals take in these chemicals without their knowledge and when larger animals eat those small ones, even they become affected. Humans consume marine animals and when these animals are affected by the pollutants, they directly cause health issues on the human beings. This can lead to cancer, reproductive system failure and other health problems. We have only seen some of the causes and effects. There are lots more problems that are causing ocean pollution and claiming marine life. The 95% of the impacts are created by human activities, and only if we create awareness about the damage, people will stop polluting the ocean in the future. Let’s save marine life and our planet’s resources. Go Green! Save Earth!